Question: What’s Red and Sticky? | Geoff's AwesomeSauce | Cocktails, food and drunken ramblings. You are here: Home » Question: What’s Red and Sticky? 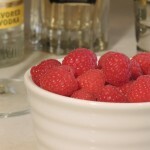 I came across raspberries on special offer, nothing like summer fruits in March for a bit of escapism. These had travelled all the way from the USA. I’ve no problem buying imported fruit out of season. I do have a problem when shops sell imported fruit when the same fruit is in season in Ireland. Worse, restaurants offering imported veggies when there are perfectly good in season alternatives. 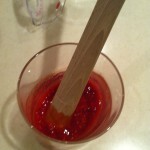 I squished (technical term) the raspberries in the juice of half a lime using a muddler. I then strained through a fine mesh straining implement… well ok it was a tea strainer. 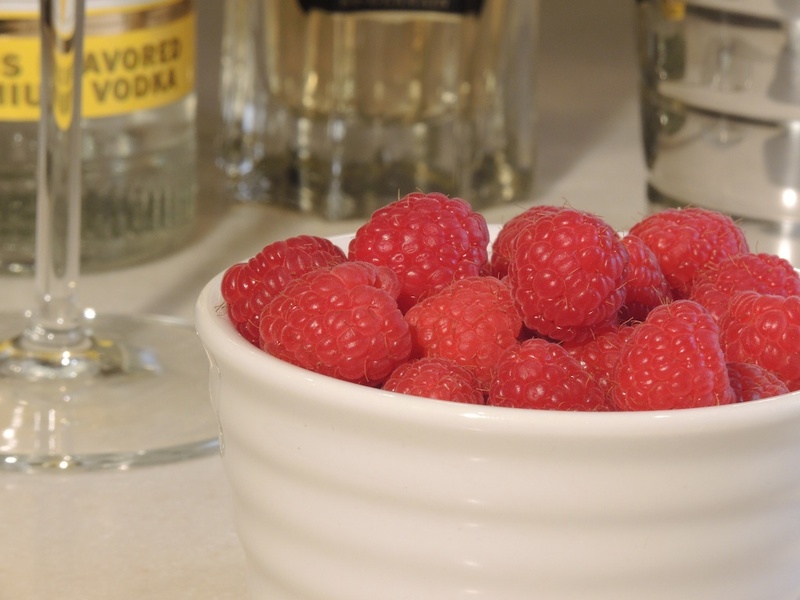 This gave me a smooth puree which I added to Stoli Citros vodka (think lemon vodka) and my all time favourite thing to mix with, St Germain Elderflower Liqueur. After a good shake over ice, I strained the mix into a chilled coup style Martini glass. Until recently I’ve been guilty of not giving the drink that final straining, it makes a huge difference to the clarity of the drink, filtering out any rogue seeds or pieces of ice. 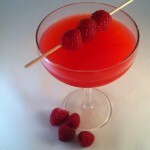 Garnish was a simple trio of raspberries, skewered onto a ol’ piece of stick. 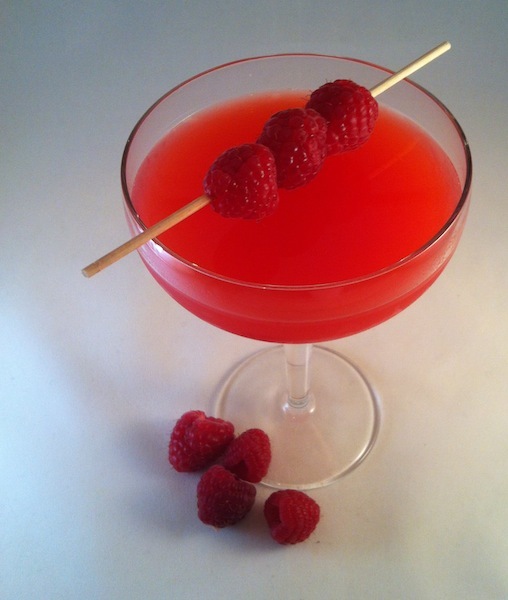 The final drink was one of the nicest I’ve tasted, even well travelled raspberries like these are transformed. 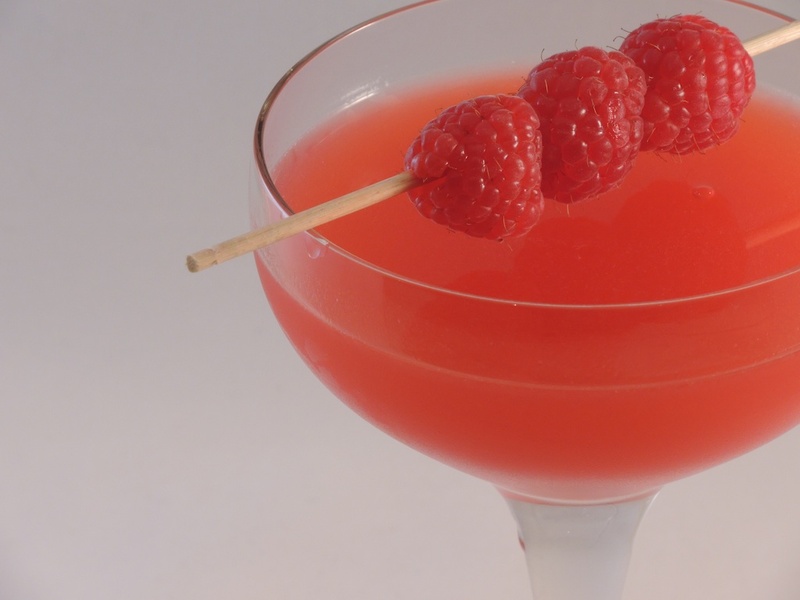 The vivid raspberry flavour jumps out at you, the Elderflower from the St Germain adds a slight floral note and any stickiness from the liqueur is counteracted by the lime juice.